WoW!!! 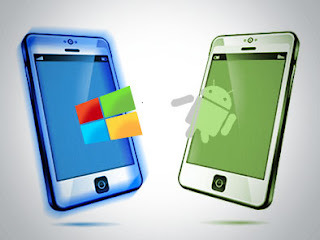 The google play store has finally launced a new app Known as the windows 8 Launcher for android devices, this application serves as an Emulator in an android device which simulates almost all windows 8 features. This is a pretty cool app that was recently lauched Dec, 17, 2013, hmmm, seems nice lauching so many interesting apps durning this festive period. 3) Weather Service : Based on your current location, local weather details are available. 5) Click on icon/tile will bring up (launch) the associated app, (This application will try to associate most common applications like dialer, messsage, google play, etc) if you are clicking first time and no application is associated then list of all installed apps will be opened and you can associate any app of your wish to this tile. * Change App - Change the launching app and icon will be replaced with app default icon on home screen. 7) There are 4 additional icons/tiles which can be customized as per your need. -Add and Remove different tile style. You can get this very nice application on either your playstore or you can download it Here.